The map uses DEM on its background. 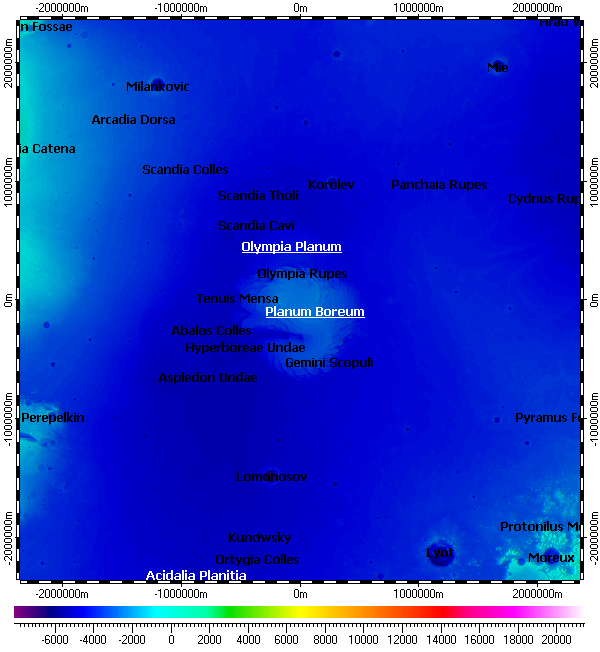 The DEM composed from data of Mars Orbiter Laser Altimeter (MOLA) instrument of Mars Global Surveyor (MGS) mission with variable resolution from 460m to 115m. Installation archive “All vector layers of Mars”. Installation archive “DEM of North Pole of Mars with multiple resolutions”.